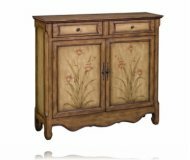 Dimensions:34W x 16D x 32H in. 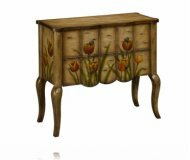 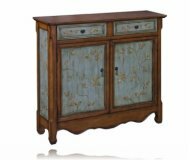 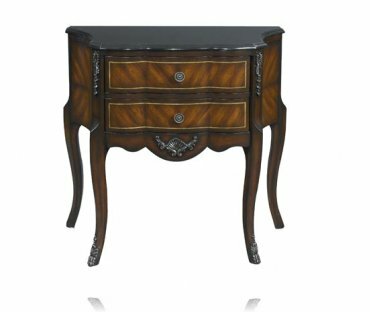 Elegant heirloom style accent chest in hand painted rich walnut wood veneer finish. 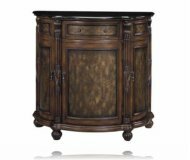 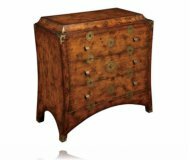 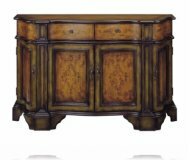 Features two drawers,black granite top,cabriole legs with carved sock feet, raised shell and leaf carvings.